Nextiva Unity is a tool that allows your User, Receptionist, Call Center Agent or Call Center Supervisor manage their calls and tasks in an easy to use desktop application. With Nextiva Unity, you can easily manipulate your calls, see the busy status of your fellow employees and find out how you and your call queues are doing in a real time environment. Nextiva Unity will require approximately 100MB of hard drive space on the local machine. By default, the install directory is C:\Program Files\Unity Client. Unity can be rolled out as an MSI file, which supports Active Directory group profiles. Windows, 7, 8 and 8.1 32 and 64-bit versions supported from the same installer. Users do not need Administrator rights. The client may be used by Windows 10, but there may be issues with zoom. Windows 10 by default does a 200% zoom, and Unity does not show well in this environment. Video Card: 256MB onboard RAM. After receiving the Nextiva Clarity installation file, double-click the file to open. If you do not have the file, click here to download the installation file. NOTE: You may be prompted with a message requesting permission to run the file. Click the Run button to accept. 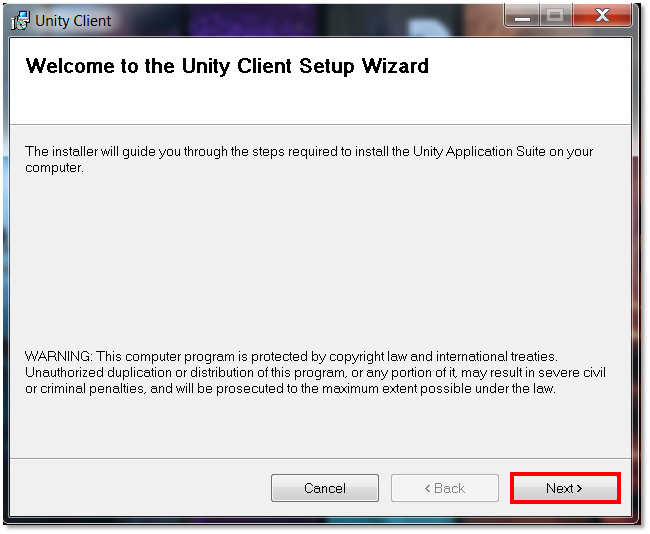 Click Next on the Welcome to the Unity Client setup Wizard window (Figure 1-1). 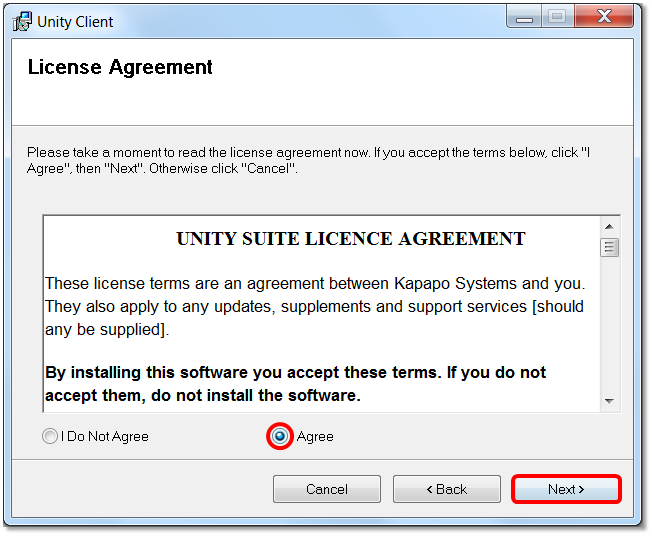 Select the radio button next to I Agree to agree to the License Agreement, then click Next (Figure 1-2). Select an installation folder by clicking Browse and locating a preferred location, or accept the default location. 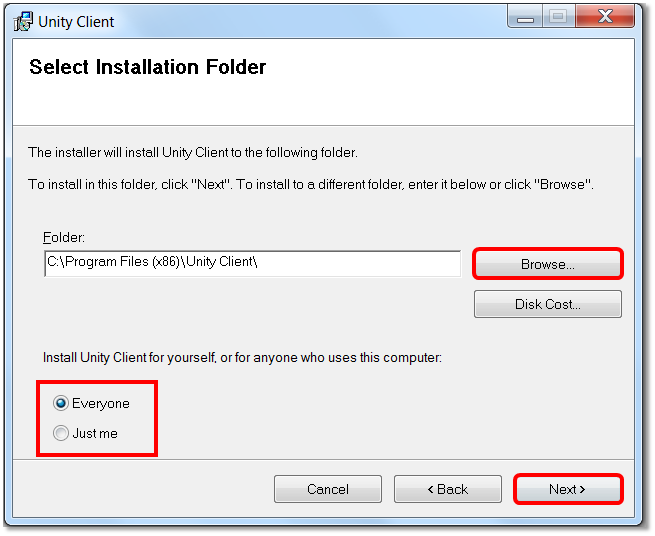 Select a radio button to install Nextiva Clarity for your profile, or for anyone who uses the workstation (Figure 1-3). 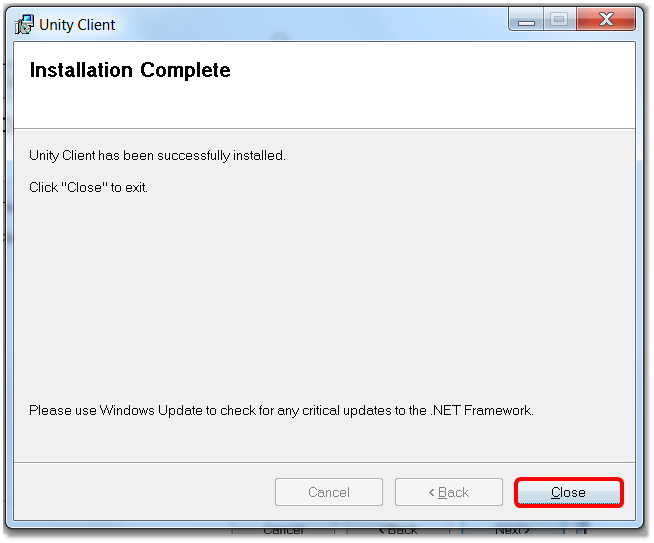 Click Next to confirm installation (Figure 1-4). 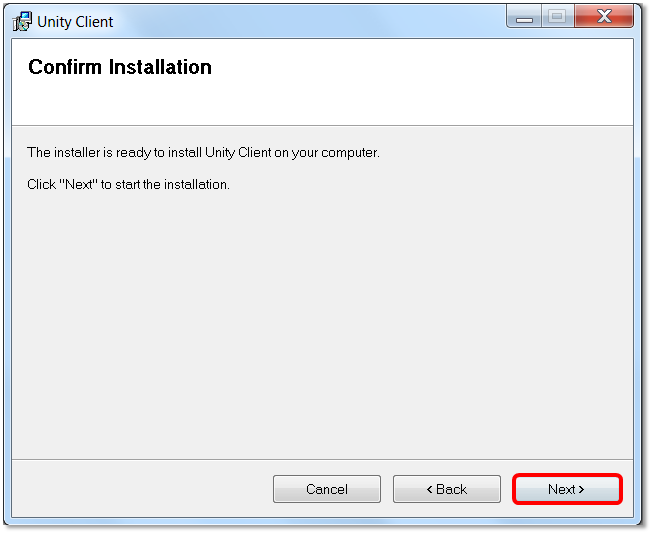 Once the installation completes, click Close to exit the installer (Figure 1-5). Nextiva Unity is now installed. Locate your Unity shortcut that will be either on your desktop or in your Start menu. 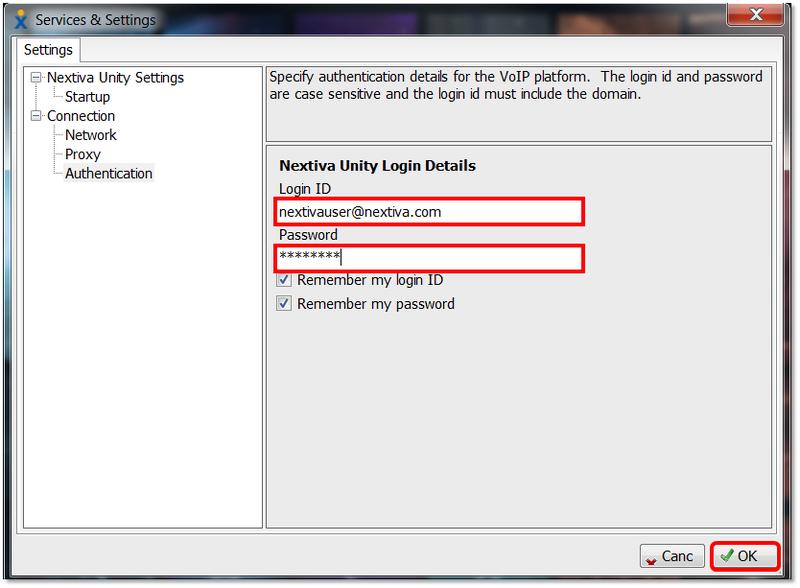 Nextiva Unity will display the message “Authentication details have not been provided or are incomplete. Please enter this information.” (Figure 1-6). Enter your login credentials. The login credentials are the same credentials used to access the NextOS Voice Portal. If you do not have your credentials, please see your System Administrator. Once finished, click OK (Figure 1-7).